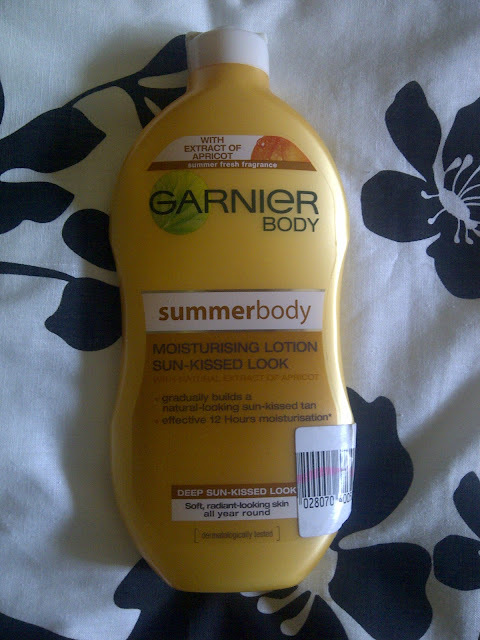 ...and I definitely have found that good way in the form of Garnier summerbody moisturising lotion! Boots describe it as, 'A moisturising lotion for a sun-kissed look, with natural extract of Apricot. Effective 12 hour moisturisation which gradually builds a tan.' It's available in both light or deep sun kissed looks and it's £5.10 for 250ml or £7.15 for 400ml from Boots. It gives you a really noticeable, yet natural looking sun kissed tan. Because it is a gradual tanning product, you do not get the orange or fake look. It has a more pleasant and less noticeable scent than other gradual tanning products. 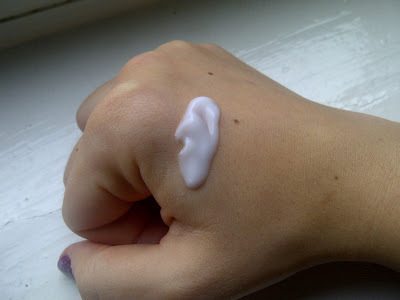 The actual lotion has a very nice, light and silky consistency that doesn't make your skin feel too smothered in product. It is easy to apply and you don't need a tanning mit. It is great value for money, as it really works and I'm still going from the bottle I bought in July. It keeps skin hydrated and moisturised all day, so works as two products in one. If you use too much or forget to wash your hands after using it, it is quite easy to wash off. Because of the subtle build up you don't get obvious uneven or streaky tan lines. Because it is available in two different shades it is easy to match your skin tone. If you apply too much lotion or use it too often your skin can develop quite a strong scent. Over use can result in product build up in certain areas that can cause a slightly uneven looking tan. I now use it roughly every other day and never put it on without showering first, as when I used it every day and sometimes put it on unshowered skin to try and top up my tan even more, I noticed product and scent build up in certain areas. Apart from that though I'm blown away by this fabulous tanning lotion and I'd definitely give it a 9 out of 10! TOP TIPS- Do remember to wash your hands after using it, particularly in-between your fingers, as I forgot to wash my hands after using it once and it looked like I had a very odd uneven hand colour, but it washed off in about 2 days so it's fine and I haven't forgotten since! -I would also suggest that you go for the deep sun kissed look, as I think the light one would be too subtle and you wouldn't notice much of a difference, but saying that I have been using it to sustain quite a deep holiday tan, so I think which shade you go for is quite a personal preference. What do you use to give you that sun kissed look all year round? Do you prefer gradual or instant tanning products? Or do you go for the natural paler English rose look? I hope you've all had lovely weekends! you look stunning! I love that dress sooo much! !